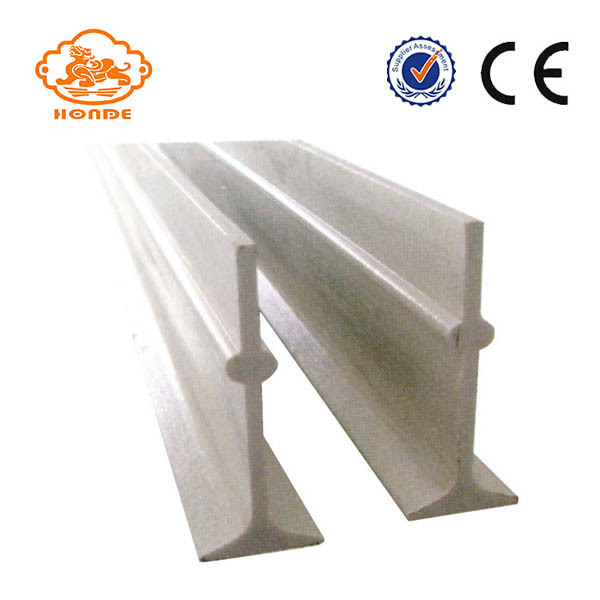 Product categories of T-fiberglass Beams, we are specialized manufacturers from China, T-Fiberglass Beams, Durable T-Fiberglass Beam suppliers/factory, wholesale high-quality products of T-Fiberglass Beam For Farrowing Crates R & D and manufacturing, we have the perfect after-sales service and technical support. Look forward to your cooperation! T-Fiberglass Beams is our company's high-quality livestock used slat flooring system support equipment, which is a kind of Fiberglass Beams, it looks like the letter "T" from the side. Made of a special antifreeze, high temperature material, ranging in size from 110mm to 120mm, with ruggedized features. T-fiberglass Beams installation and use of very convenient, is a very good agricultural farming equipment. We can produce according to your special requirements, can also be produced according to your drawings. Our commitment to our products, our T-fiberglass beams are of high quality and easy to use. Looking forward to your patronage.